Ekundayo Bandele founded Hattiloo Theatre, a Black repertory, in 2006. As the theatre's artistic leader, he has directed several plays that include Katori Hall's "Hurt Village”; portrayed King in August Wilson's 'King Hedley II'; wrote a popular holiday play titled 'If Scrooge was a Brother'; and worked as assistant director to Ruben Santiago-Hudson on “Paradise Blue” that starred TV and film star Blair Underwood, at the Williamstown Theatre Festival. As Hattiloo’s administrative leader, from 2012 - 2014, he spearheaded a $4.3M capital campaign that resulted in the construction of Hattiloo’s 11,000 square-foot venue in Memphis, Tennessee’s popular Overton Square district. The theatre opened debt-free in June 2014. In 2016, he led a second capital campaign that raised $900,000 for the construction of the Hattiloo Development Center, which opened in April 2017, also debt-free. Over the course of 11-years, Ekundayo has developed Hattiloo from a small community theatre with a $60,000 annual budget into a regional cultural institution with a $1.7M budget, and a growing $500,000 endowment. 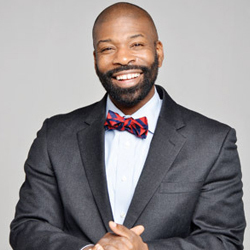 His civic involvement includes chairman of the Memphis Branding Initiative, chairman of the Memphis Youth Guidance Commission, and board member of the Memphis Convention and Visitors Bureau.